The Star & Shamrock (1341 H St. NE) announced yesterday that they will close their doors in mid-February, after nearly a decade on H Street NE, to "focus to new opportunities and projects." Bullfrog Bagels will take over the space. The venerable Jewish deli/Irish bar opened in April of 2010. Bullfrog Bagels opened up a counter inside Star & Shamrock on Sept. 19, 2014. 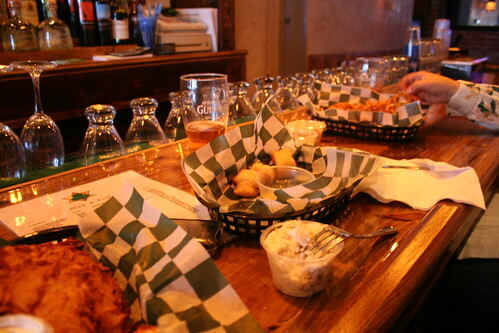 The tavern's final weekend will be Feb. 15–17. Stop by to bid them farewell before it's too late.